Before procuring the Services, you should read these terms and conditions carefully. If you do not agree with them, do not use the Services. 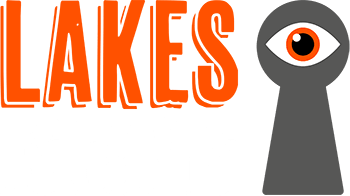 Lakes Escapes Ltd provides a live service. Upon confirmation of the booking, we do not accept cancellations, or provide any refunds. We may reschedule a booking if the cancellation is unavoidable. In the event Lakes Escapes Ltd cancels the booking for any reason, the customer will be entitled to a full refund of all monies paid to date within 30 days. The description of the Services and any Goods is as described on our website, brochures and other forms of advertisement. Services are reserved to individuals’ 7 of age and above. All persons under 16 must be accompanied inside the room by an adult. notify you of these changes. All prices are stated on the website. The price varies according to how many people are in one room, and do not change according to time or day. Bookings can be made online or via telephone if online booking is not possible. Payments can be made using any major debit or credit cards. UNPAID BOOKINGS: If payment has not been received during the booking process or at least 24 hours prior to the event, Lakes Escapes Ltd reserves the right to cancel or offer any unpaid for places. We will endeavour to contact the Booker and/or participants to inform with as much notice as possible; however we are not liable if contact has not been successful. TRANSFER BOOKING: If you wish to transfer your booking(s) into someone else’s name, you must contact the company by either email or telephone at least two hours prior to the start of your booking. LATE ATTENDANCE: The game timer will be started 10 minutes after your booked time. A booking can become a no-show and entry would be declined if the team is late by 15 minutes or more of the booked starting time. In such a situation the money is not refundable and the booking is not changeable. NON ATTENDANCE: If you fail to attend an event for which you are registered and have not given us prior notice then you shall not be entitled to any refund, transfer or otherwise pursuant to our refunds policy. NON TRANSFERRABLE: Bookings may not be transferred or resold for commercial purposes or at a premium. If a booking is transferred or resold in breach of this condition, the bearer of the booking or the person claiming the right to attend the event will be refused admission. WEATHER: The event is indoors and will not be cancelled for bad weather. If the weather is extreme (as an example – heavy snow fall) and we are forced to cancel, we will endeavour to contact all participants with as much notice as possible. We will then make arrangements directly to either transfer bookings to another session or make reasonable arrangements. Customers will ensure that, all information provided is true and accurate and will follow all recommendations included within the policies. Customers must inform us in advance of any medical issues that would affect the customers experience. Customers shall not record the rooms or the puzzles within them. This includes, but is not limited to, photography, video and voice recordings of the games. The use of any recording or recording capable device is prohibited inside the rooms. We retain the right to stop the game should we discover that any type or recording is being made. Customers are discouraged to disclose details regarding the game to the public, whether it is by direct or indirect means. Customers shall be directly liable for any and all damage, be it intentional or casual. This shall be charged upon exiting the room. We retain the right to stop and end the game should any significant damage be made, and the right to turn away the team without any refund if such a circumstance arises. The company adopts a zero tolerance policy for bullying or harassment towards its employees and staff. Any group that openly harasses our staff will be turned away, and no refund will be given. When do we reserve the right to refuse entry and deny refunds? Groups have shown up more than 15 minutes late. Groups have shown up under the influence of alcohol, narcotics or other substances that inhibit the designed flow of the game. All participating groups receive an introduction by one of the employees upon arrival. This briefing outlines the rules of the game and clients shall participate in the game at their own risk. Lakes Escapes Ltd are not liable for any damages caused by failure to comply with the company’s rules. In case of fire, please follow the fire exit signs and evacuate through the nearest fire exit. Drinks and food are not accepted inside the rooms. Customers must always keep belongings with them. Lakes Escapes Ltd is not liable for any damage and/or theft of said belongings. The groups will have to provide the name of the booker for admittance. Lakes Escapes Ltd will not assume liability for any breech that occurs as a result of other services being damaged (PayPal, email system). Photos of your team shall be taken after completion of the game. Such photos are stored on the local hard drive. The photos shall also be uploaded onto the company’s Facebook page and can be downloaded from there. Some photos may be uploaded online for marketing purposes omitting names and personal details. The company reserves the right to cancel bookings due to circumstances out of our control. These include, but are not limited to, power cuts, flooding, natural disasters, and any state of emergency. To the best of our abilities, we shall provide clients with at least 2 hours’ notice when cancelling bookings on the day. The copyright, design right and all other intellectual property rights in any materials, advertising and escape experience prepared or produced for you by us or on our behalf in connection with the Services shall belong to Lakes Escapes Ltd absolutely and any such materials, documents or items shall be or remain our sole property. "This was one of the best escape rooms I've done - great puzzles, a fun theme and a very sensible clue system. We'll definitely be coming back to try the other rooms!"